Ultramare was established in 1934 and is Scandinavia’s oldest filter company. Our operations have been based in Trollhättan since 2007. 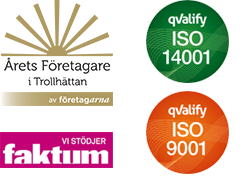 Today we are a leading manufacturer in the Swedish air filter market. During the 2000s we have massively increased both turnover and the number of employees. During 2016 we manufactured over 900,000 filters. We have over 5,000 customers. As we manufacture products that purify the air, it is natural that we should protect the environment in general. We are certified according to ISO 9001 & 14001 and our objective is to be the industry leader in terms of environmental activities. It is an objective that permeates the entire company at all levels. With its enthusiastic and skilled employees, Ultramare will manufacture, develop and market energy-efficient and climate-smart ventilation filters that protect people, processes and machines. Target groups are service companies, facility owners, the manufacturing industry and HVAC manufacturers. Our core values are the environment, confidence and innovation. Our vision is to become the leading environmental company in our industry. Ultramare is Scandinavia’s oldest filter company. The good thing about growing older as a company is that age brings greater experience and knowledge. Having manufactured millions of filters, we are not ashamed to say that we know how to manufacture filters. It is knowledge that always accompanies us in our ongoing work to continually develop our products and services. Ultramare started in 1934 with the manufacture and import of jute bags before completely changing direction in 1954 to manufacture air filters. Until 2007 our base was located in Bromma, Stockholm. Today our head office and production is located in Trollhättan. Since 2000 we have had an environmentally-compatible plastic frame as standard on our filters. Our focus has always been on manufacturing environmentally friendly filters, with synthetic media as the base. During 2009 we launched ULMA Green, our most environmentally friendly bag filter with a documented low pressure drop. In 2013 we launched the third generation of Ulma Green Energy Nano with the record-low pressure drop of 65 Pa for a F7 in accordance with EN779:2012. During the 2000s we have massively increased both turnover and the number of employees. We are currently undergoing an expansive period and we would like to grow further. In 2009 we launched Ultrashop, the market’s easiest and smartest e-commerce site. Today over 60% of our sales are over the Internet. Our core values are the catchwords that guide us in everything we do. They are the soul of the Ultramare brand and form a mutual value foundation around which we build our corporate culture. The core values are our single most important asset – impossible to compromise away for financial gain or short-term benefits. We have a clear environmental focus. Ultramare shall become the foremost environmental company in our industry. We shall actively contribute to the conversion to a sustainable society with reduced emissions of greenhouse gases in order to be able to pass on a sustainable society to future generations. We show our environmental engagement in many different ways. The most important thing for us is to develop and sell energy-efficient, climate-smart products with a high level of energy recovery where we ensure a product´s environmental impact from the cradle to the grave through LCA analyses. The desire to convert to sustainable environmental development characterises everything we do from productdevelopment, administration, sales, marketing, packaging to transports and how our salespeople present Ultramare as the most climate-smart filter company. We always have the customers’ needs in mind when we manufacture and sell filters. In that way we get satisfied customers who become our best ambassadors. We create confidence through how we treat our customers and the way we convey our knowledge and service before, during, and after the purchase. Honesty is a natural part of this. We clean the air you breathe with energy-efficient and environmentally-smart products; that is the foundation of our business concept. In combination with our soft values this makes us a supplier that instils confidence. Our ambition is to always build long-term commercial relations with our customers and suppliers. We create confidence in many different ways where the most important is to do what we promise our customers we will do. We support our confidence through good products that are verified through product sheets, test protocols, LCC-calculations, LCA-analyses, and during 2012, with Eurovent certification and Energy-labelling. Ultramare shall always be perceived as a modern, environmentally conscious and innovative company, where nothing is impossible. Development of energy efficient filters and research on future filters produced from renewable raw materials that reduce our dependence on fossil raw materials, is on example of this. Another is to integrate with our with our customers ERP systems, a third is to develop the first cellphone app that facilitates the ordering for the buyer. Even if we are Scandinavia´s oldest filter company, we set new trends and use a modern way of thinking in order to develop energy and environmentally smart products and services with synthetic filters as a basis. Our development of the soft values is assessed with the same importance as our products and with the aid of new technology, our ambition is always to present the most environmentally friendly and cost efficient alternative. We have an open mind for everything that has customer value, develops our business and protects the planet we live on. Ultramare is a member of Swedish Ventilation, which is our industry association. Today, Swedish Ventilation has around 100 ventilation companies as members. Swedish Ventilation works to safeguard its members’ interests – to increase awareness regarding the importance of good ventilation, and also to work to ensure the growth of the industry. Swedish Ventilation regards the climate question as the most important political issue of the day. Eurovent is the ventilation industry’s association in Europe. Ultramare participates as one of a small number of Swedish air filter manufacturers in Eurovent. Represent European manufacturers within air purification, heating, ventilation and cooling on international and European issues. Inform members about relevant legislation from the EU and other bodies. Develop a reliable global reporting system. Develop a product certification programme for the sector via Eurovent certification. Ensure participation in international standardisation. Improve communication regarding general issues such as cooling, energy and indoor climate. We sponsor a number of organisations and associations throughout the country. We take care in choosing the contexts in which we appear. The organisations and associations we support must live up to our guiding principles of passion, development and confidence. We view sponsorship as a commercial partnership that is beneficial to both parties. We have many years’ experience of supporting organisations and associations throughout the country. We want to use sponsorship to reach out to the general public in order to increase knowledge about the need for a satisfactory indoor climate. Our sponsorship activities extend over the areas of culture, society and sport. This is our reasoning when it comes to choice of collaborative partners. Via sponsorship of broadly-based activities, to reach a large number of people in order to increase awareness of the need for clean air. To sponsor organisations, teams and associations that comply with our values and live up to our core values. To measure and follow-up all sponsorship activities. To sponsor organisations, associations and teams that focus on young people. Sponsorship agreements where there is little opportunity to meet customers. Sponsoring activities that do not live up to our values or core values. Sponsoring activities that do not protect the environment. Sponsoring activities that are in conflict with ethical and moral values. Providing sponsorship where there are limited business opportunities. 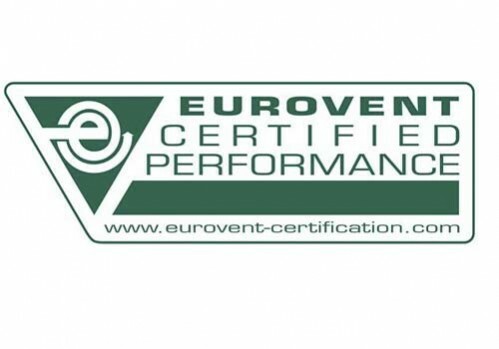 Together with several European air filter manufacturers, the European ventilation organisation, Eurovent, has developed a certification program to guarantee that the filters comply with the promised performance level. Eurovent certification is the strongest guarantee you can get to ensure that the product data truly are valid. To verify product information, Eurovent tests the filters at the independent testing institute, Technical Research Institute of Sweden (SP) in Borås and the Technical Research Centre of Finland (VTT) in Esbo, Finland. Technical data that we publish must be correct. The filters are tested in independent laboratories. The testing institute must be certified in accordance with ISO 17025. Manufacturers must be quality certified in accordance with ISO 9000. For more information about certification see www.eurovent-certification.com , where you will also find information about all Eurovent certified filters.